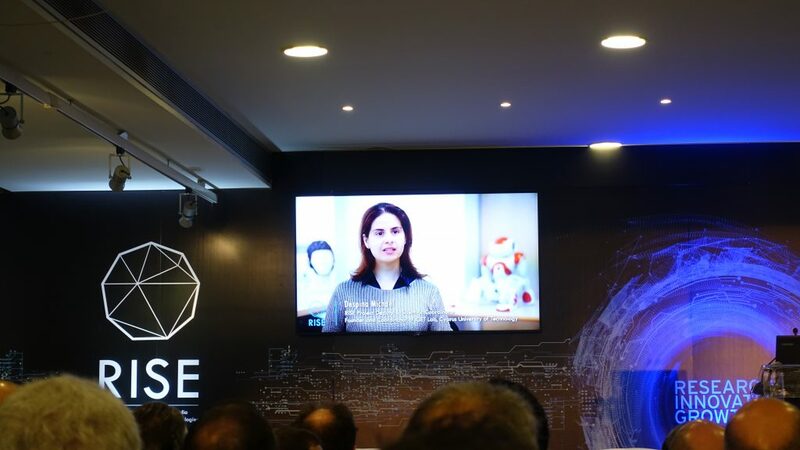 The largest research project in Cyprus, RISE, a Research Center on Interactive Media, Smart Systems and Emerging Technologies has officially been launched (Phase 2), during a well-attended event that was held on the 29th November 2017. 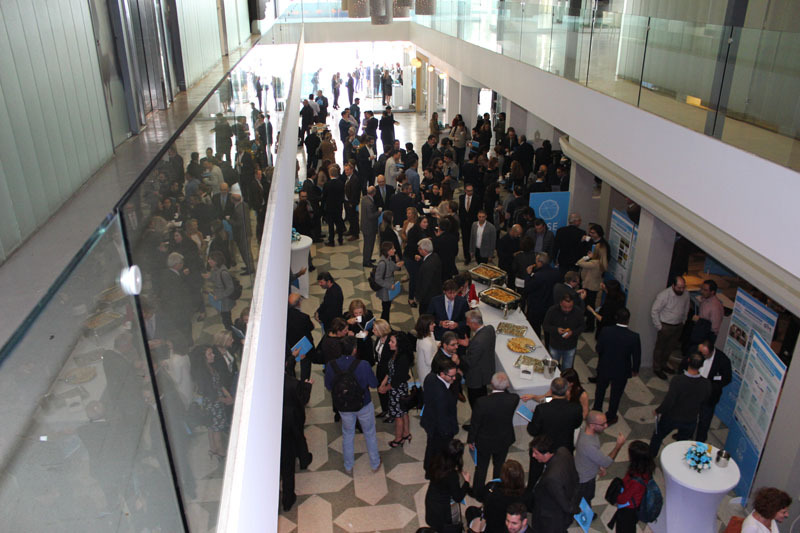 Below is the speech of Professor Andreas Anayiotos, Rector of the Cyprus University of Technology, which was delivered during the official launch event. 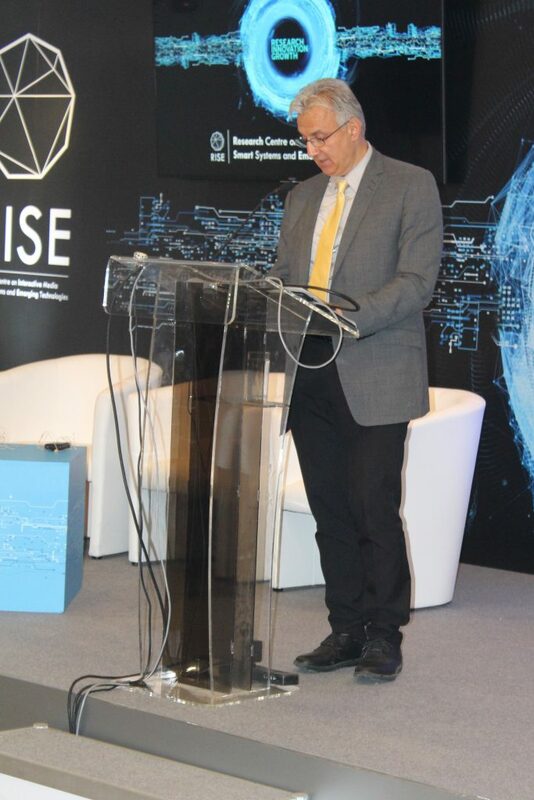 It is with great pleasure that I salute and extend a warm welcome on behalf of the Cyprus University of Technology at the kick-off meeting of the second stage of our successful RISE project. I am here to express my strong support on behalf of the Cyprus University of Technology to our coordinating team and all the partners. The project envisions the implementation of a “Research Center on Interactive media, Smart Systems and Emerging Technologies” RISE in short. 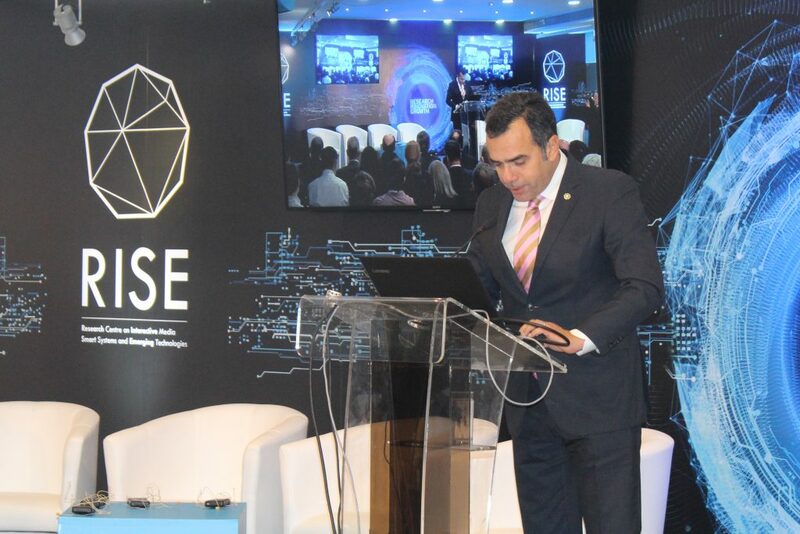 The RISE project aims to contribute to the transformation of Cyprus into a global excellence hub in Smart systems and Interactive Media through multidisciplinary expertise, technological innovation and entrepreneurship. 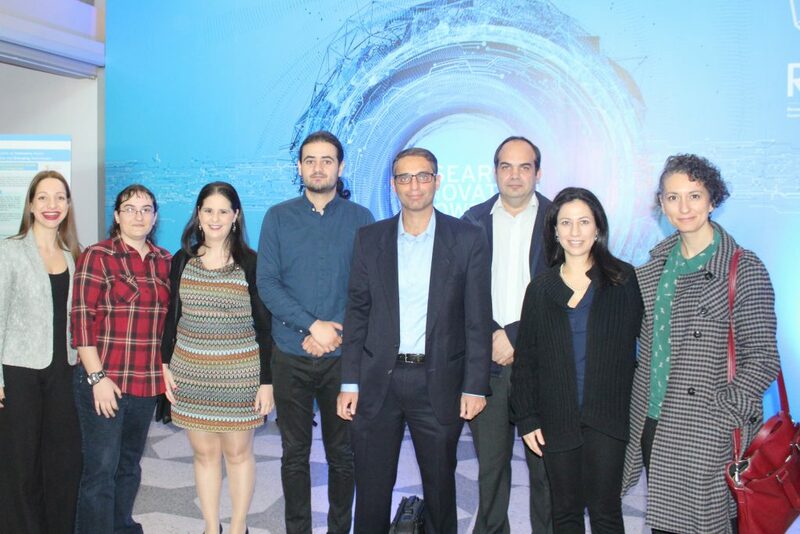 In this promising project, we are very pleased to have among us distinguished colleagues and partners from key local public academic Institutions, public organizations, research institutes, and the industry sector, in Cyprus and abroad, who supported the successful application of the project in the Horizon 2020 framework for Research and Innovation. 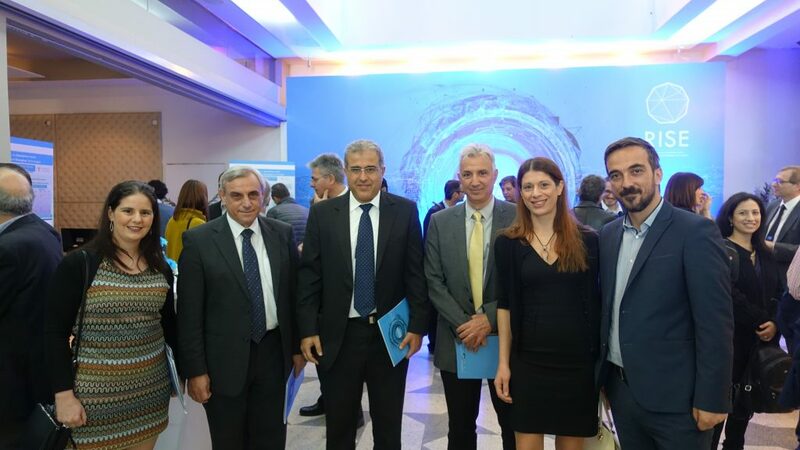 Dear colleagues we want to express our sincere thanks for your contribution to the successful outcome of the project. 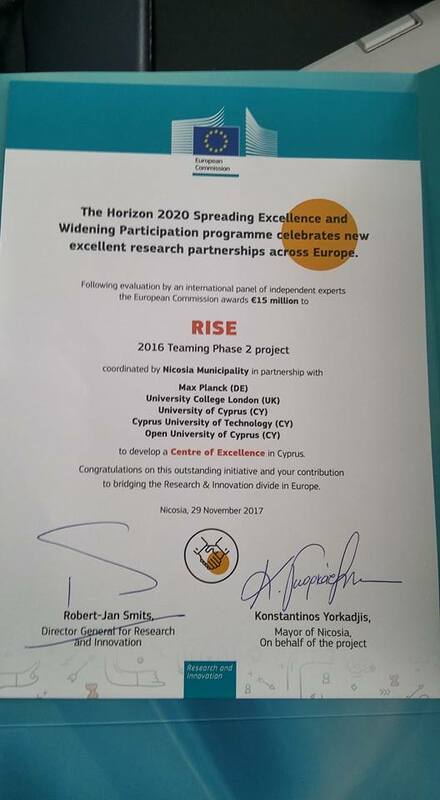 The Cyprus University of Technology is very proud to be part of this effort and have a substantial contribution with its knowhow. Our University is committed to the funding of the project with a significant cash contribution as well as an in kind contribution. The project’s aims, to have great impact through excellence in research and innovation are aligned with the vision of our institution to promote excellence in research and innovation and acquire international recognition. Our recent international ranking in The Times Higher Education World University Rankings 2018, in the top position among the local institutions in Cyprus and between the 350 and 400 best universities in the world is a vindication of our relentless efforts to implement our vision. We want to thank the European Commission, for all the calls aiming at reducing disparities in performance in research and innovation among its member states and especially the current call ‘Spreading Excellence and Widening Participation’. Cyprus as a country and our University in particular have been very active participants in these calls. Here I want to mention that in addition to the current project that has successfully made it to the second phase, our university currently participates in 3 other Phase 1 teaming projects. It is also worth noting that two of these projects that are coordinated by our University namely the projects MEDSTACH and EXELSIOR were ranked in the highest two positions in the overall evaluations at the pan-European level with full marks in their evaluation. We are confident that all these efforts will boost our country’s performance in research and expand its innovation ecosystem. 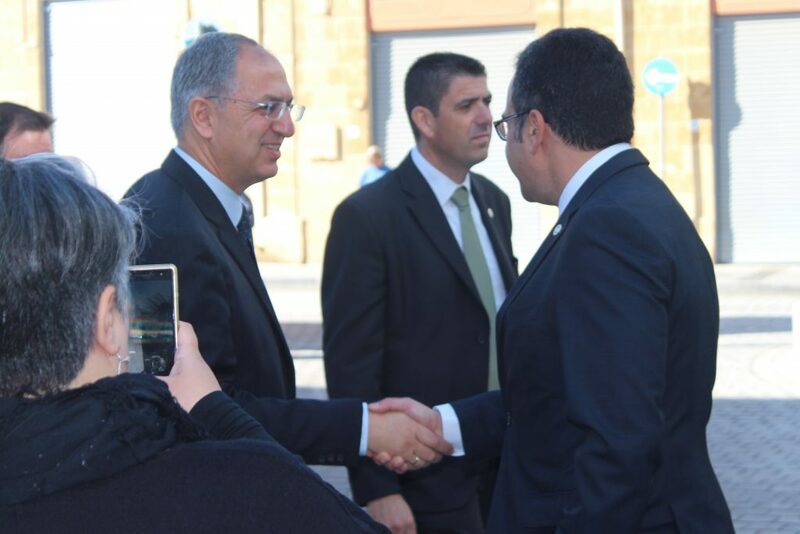 Before closing, I would like to thank the European Commission for funding this project and the Republic of Cyprus for its support through cofunding provided by the Directorate General for European Programs, Coordination and Development. 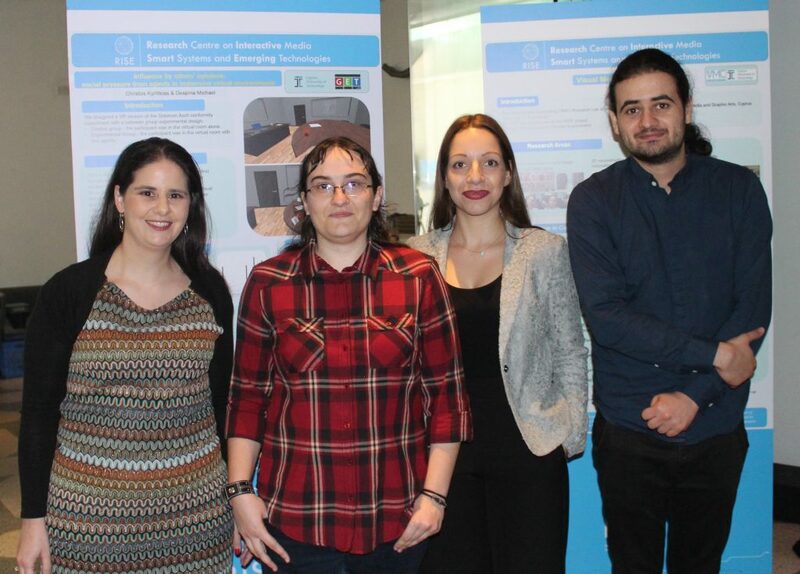 Moreover, I would like to thank all the partners of the consortium, especially the coordinator, the Municipality of Nicosia and our renowned partners, Max Planck Institute for Informatics in Germany and the University College London UK for making this proposal a success, in a collective effort with the local public universities. Last but not least, I want to express my sincere thanks and congratulations to the research team from the Cyprus University of Technology: The principal Investigator and the deputy scientific coordinator of the RISE project Assistant Professor Despina Michael Grigoriou, Professor and Dean Andreas Lanitis and the other members of the team Professor Panayiotis Zaphiris, Assistant Professor Andri Ioannou and Associate Professor Theopisti Stylianou-Lambert. They all contributed to the greatest possible extent, from the conception of the initial idea up to the current implementation stage of the project through hard and continuous work in all the areas of this multidisciplinary effort. 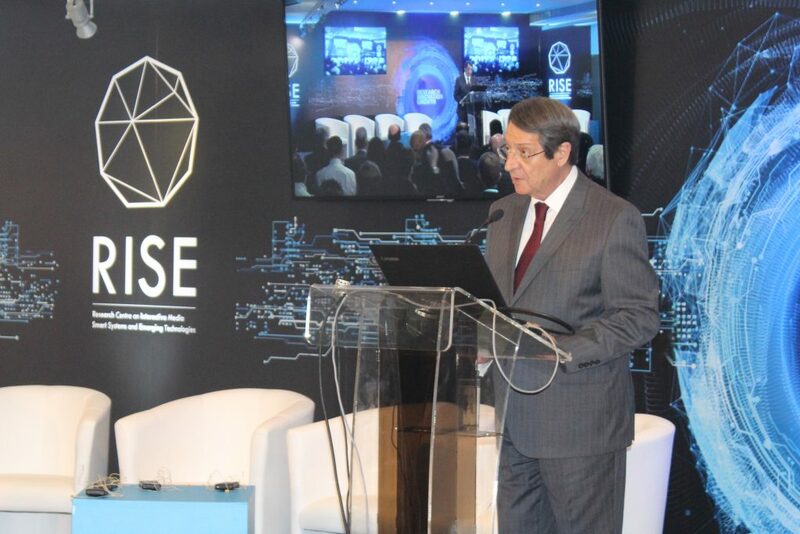 I wish success to all the members of the consortium and I reiterate that the Cyprus University of Technology is committed to provide its strong unquestionable and continuous support to ensure the successful implementation of the project.